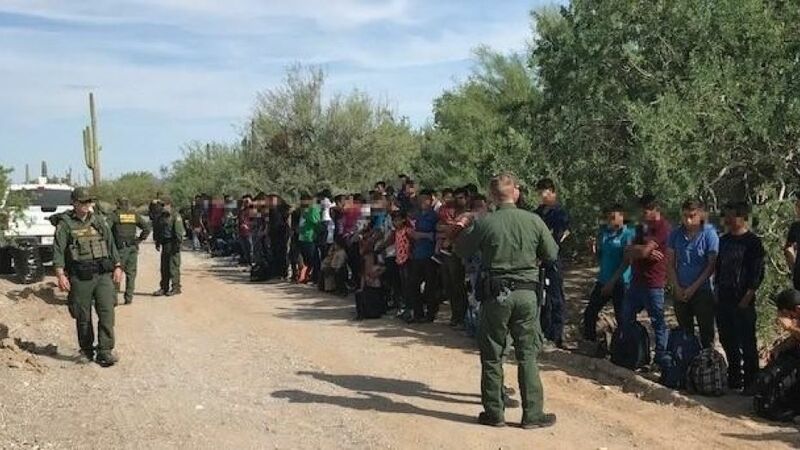 On Friday, Border Patrol agents stopped a caravan of 128 people after it illegally entered the U.S. from Mexico to Arizona. The large caravan of people was noticed near the Lukeville Port of Entry. Border Patrol officials said the illegal immigrants were “presumably brought to the border by human smugglers” who likely continued to remain in Mexico. The migrants that were apprehended were from El Salvador, Guatemala, Honduras and Mexico, according to reports some of them had to cross as much as 2,500 miles before reaching the United States. The detainees included families, inc with children as young as age 4. Some of the detainees also had previous immigration violations. U.S. Customs and Border Protection say the whole caravan is set for deportation from the U.S. While the caravan wasn’t the largest this year, it was among the biggest in recent months. Back in June of this year, a caravan of 31 that included parents with kids was stopped trying to cross the border. The United States saw the largest caravan in March and April, consisting of around 1,000 people, mostly from Honduras, trying to cross the U.S.-Mexico border. The group, however, eventually split into smaller groups the Presidents warning and the U.S’ focus on the issue. It’s reported that some of the migrants managed to enter the U.S., but likely only as asylum seekers.